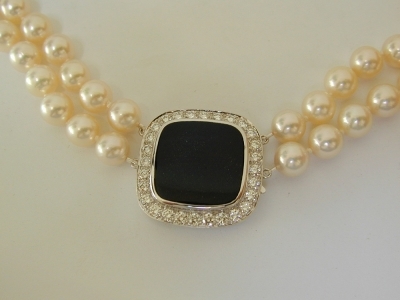 Diamond and onyx pearl clasp hand made in white gold. Available with a selection of pearls. All of our jewellery is hand made in New Zealand.